[PDF] Offa and the Mercian Wars: The Rise and Fall of the First Great English Kingdom | Free eBooks Download - EBOOKEE! Description: In England in the eighth century, in the midst of the so-called Dark Ages, Offa ruled Mercia, one of the strongest Anglo-Saxon kingdoms. For over 30 years he was the dominant warlord in the territory south of the Humber and the driving force behind the expansion of Merciaâ€™s power. During that turbulent period he commanded Mercian armies in their struggle against the neighboring kingdoms of Northumbria and Wessex and against the Welsh tribes. Yet the true story of Offaâ€™s long reign and of the rise and fall of Mercia are little known although this is one of the most intriguing episodes in this little-recorded phase of Englandâ€™s past. 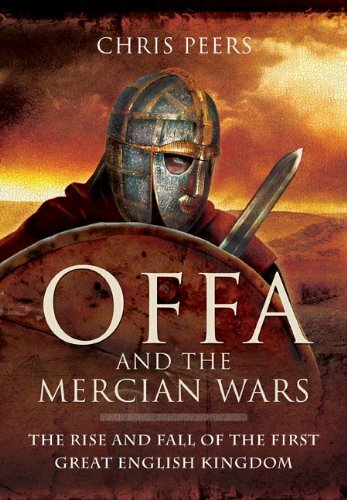 It is Chris Peersâ€™s task in this new study to uncover the facts about Offa and the other Mercian kings and to set them in the context of English history before the coming of the Danes. No comments for "[PDF] Offa and the Mercian Wars: The Rise and Fall of the First Great English Kingdom".